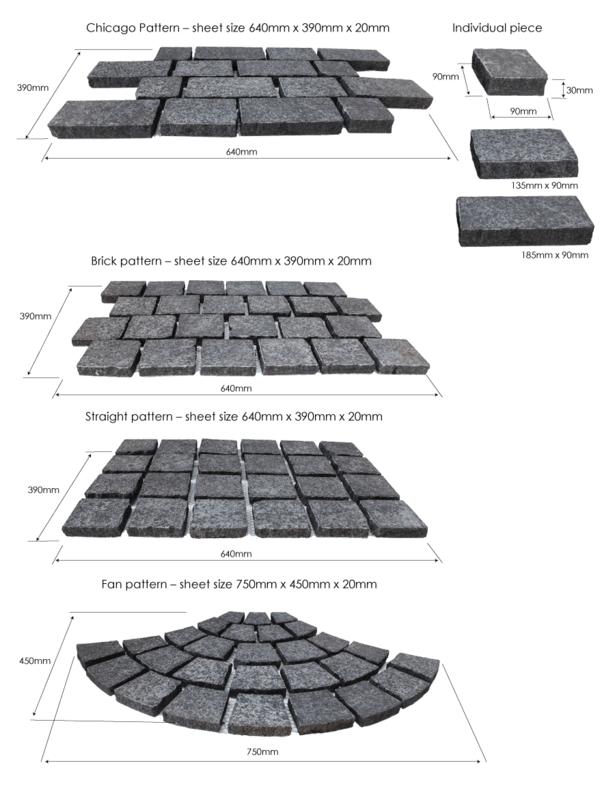 The compressive strength rating of our Chicago Granite Cobblestone makes it incredibly tough and durable. It’s strong enough to support vehicles and it’s dark colour and textured finish helps to mask stains, tyre marks and oil leaks, which makes our cobblestone ideal for use in high-traffic areas and as driveway pavers. A mix of three different size Chicago Granite Cobblestones, that have antique random patterns, creates a timeless look. Being a brick pattern and flamed surface with split edges creates a beautiful timeless look. 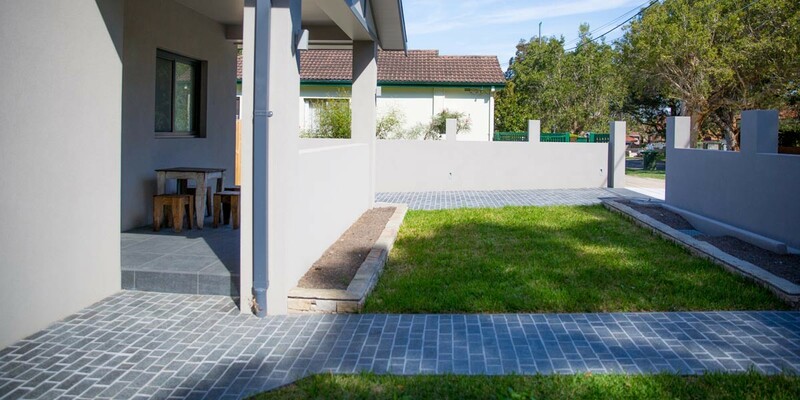 This cobblestone come supplied with a mesh backing, which makes them easy and cost-effective to install.